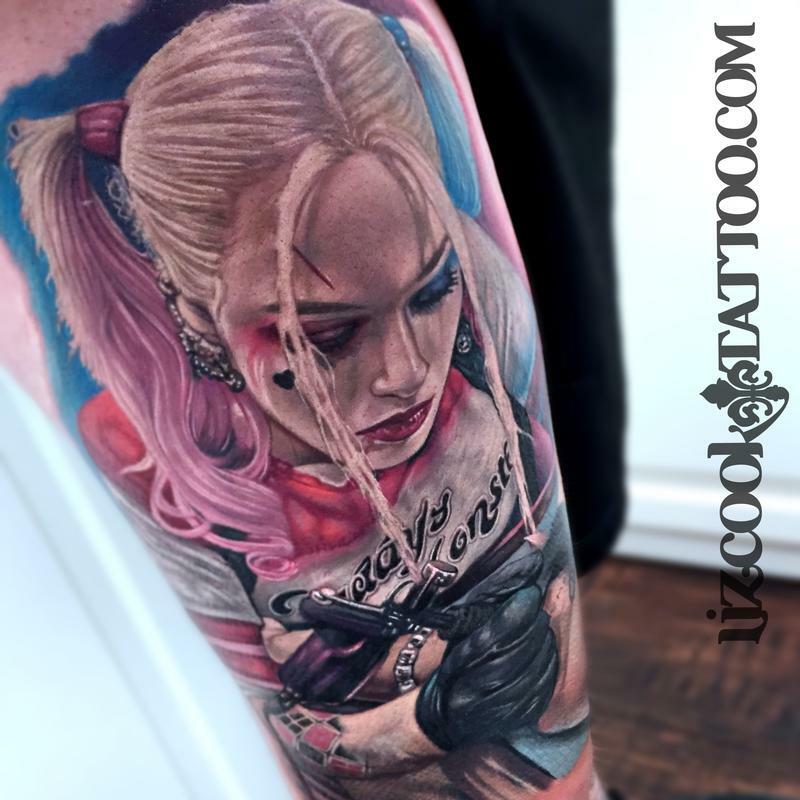 I did this Harley Quinn tattoo of Margot Robbie just in time for the recent movie release! It's actually on one one of our Rebel Muse artists, Ryan Townsend. We did the tattoo over 3 sessions.